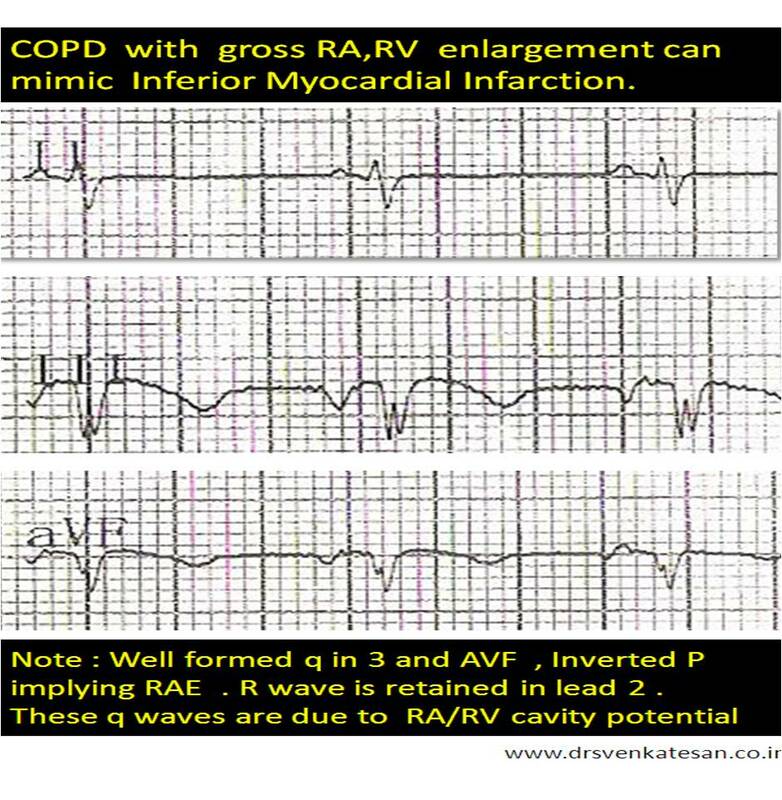 « Can RV infarction occur with Anterior MI ? One more cause for Q waves without Infarct ! We know q waves are not synonymous with Infarct . It just represents electrical activity going away from the electrode.This is why it can occur even in physiologically in many leads. When a chamber enlarges (Any chamber ) it is brought near the chest wall the electrode may pick up the intra cavity potential that is recorded as q waves . In huge RV enlargement , RV cavity potential or( even RA ) can be picked up by limb leads . While cavity potential is well picked up by unipolar pre-cadial leads , it is uncommon for limb lead record intracavitory potential. However this patient , who was diagnosed as inferior MI by a resident , turned out to be a clear case of severe pulmonary hypertension due to COPD . 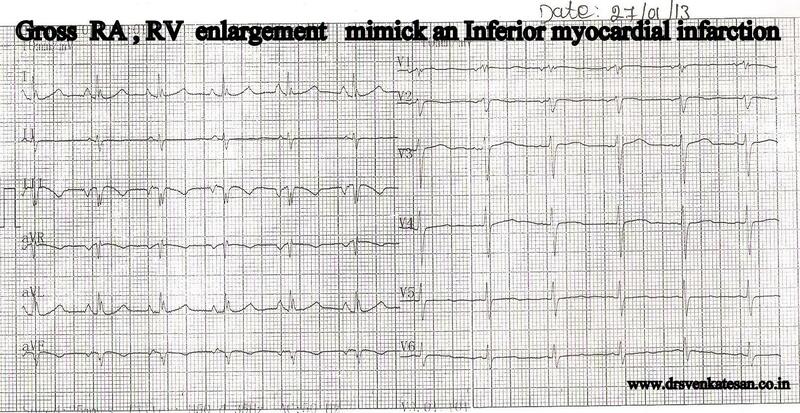 One more differential diagnosis for inferior MI in ECG exists. A grossly dilated RA, RV due to COPD with severe pulmonary hypertension.